Are electric bikes legal on the road? Yes! In law, electric bikes qualify as Electrically Assisted Pedal Cycles. There are conditions: the bike must have pedals fitted to it, conform to the pedal cycles construction and use regulations and have a maximum power output of 200 watts. As long as the bike conforms to this specification, and you as the rider are at least 14 years old, you can use them as you would use a normal bicycle. You can ride them on the road, take advantages of cycle paths and lanes and do not need to tax and insure your bike. You dont even need a safety helmet, although we would always recommend you wear one. I like the idea of using an electric bike, but I am concerned about using one in rush-hour traffic on main roads. Every town and borough council has a plan in place for encouraging cycle use. As part of this, they publish town maps highlighting cycle routes and cycle parks. These maps are available from the council, local libraries, Citizen Advice Bureaus and Tourist Information points. In many cases you will find that instead of using a main road, alternative cycle paths have been provided, keeping cyclists and other road users totally apart. Remember too that in most cities, cyclists are permitted to use bus lanes as well. What are the running costs of an electric bike? Running costs are similar to a normal bike, except the cost of electricity for charging the bike up, which is typically between 4-8p per charge, depending on how much you pay for your electricity. Service items, such as replacement brake pads and tyres, are standard bicycle parts and can be purchased and fitted at any bicycle shop. My commute is 20-30 miles as a round trip each day. Is there an electric bike that will do this range? 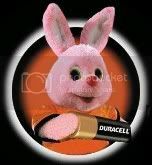 There are, but bear in mind that batteries will degrade over time. If you are travelling this sort of distance, we recommend that you get a second battery charger and leave this at work. You can then recharge the battery during the day ensuring you have a full battery for getting home at the end of your working day. I weigh 16-17 stone. Can I use an electric bike? Yes. Many electric bikes will easily accommodate riders weighing around 16-17 stone, although it is worth checking specific models. As a general rule, range will decrease slightly, as well acceleration and the amount of assistance you will get from the motor when going up hills, although overall top speed is not very different. What range should I expect from an electric bike? This will vary from bike to bike. Most of the town bikes and touring bikes have a range of between 15-25 miles and the folding bikes between 10-15 miles. Terrain you are riding on flat roads or on hilly roads? How much pedal assistance are you prepared to do? Temperature of the batteries do not give quite as good a range on a very cold day. Conversely, they give their best performance during the summer. Age of the battery. The batteries do degrade with time and range does suffer as a result. How long do the batteries last before requiring replacement? This depends on the type of battery your bike has. If you have a lead-acid gel battery on your electric bike, your battery will probably need replacing after around 2-300 recharges, at a cost of between £50-100. If your bike uses nickel metal hydride batteries, your batteries will last much longer, typically 800-1000 recharges before requiring replacement. The cost of nickel metal hydride batteries is much higher typically around £150 per set, but this is offset by the longer life of these batteries. Lithium batteries are best of all, with manufacturers often quoting between 1,500 and 2,000 recharges per set of batteries. With a little care, a set of lithium batteries should last as long as your electric bike, if not longer! Do the batteries give the same performance throughout their life? No. As batteries get older, your range on the batteries will gradually decrease. At the end of the battery life, the batteries will not be able to retain a charge at all at which point they need to be replaced. Batteries also give poorer performance in cold weather than they do in hotter conditions. Batteries should never be left flat as this will damage the batteries. Leaving a battery completely flat may destroy the battery completely, at which point it will need to be replaced. Can the batteries be easily removed from the bike for recharging? Yes. On most bikes, the battery is locked onto the bike and can only be removed with a key. However, it is typically a few seconds job to unlock the battery and remove it from the bike. Batteries can be recharged either on or off the bike, whichever is the most convenient. Why do many electric bikes not have gears? Most people find bicycle gears of limited use on an electric bike. At slower speeds they can actually get in the way inevitably you are in the wrong gear because the motor takes over and powers the bike. On the more expensive bikes with gears, the gears are typically of most use at higher speeds the lower three gears rarely get used at all, unless you switch the motor off and just cycle by yourself. I enjoy cycling but I need some help on the hills. Are electric bikes suitable? Absolutely! So long as you can still cycle, the electrical motor will give you all the assistance you require to take on the hills. On steeper hills you will still need to put in a bit of effort but for the vast majority of hills you can cycle up them with almost as little effort as you would use in cycling a normal bike on a flat road. I am disabled, but do not want to use a mobility scooter. Can I use an electric bike? A number of people use an electric bike instead of a mobility scooter: the bikes are faster, more fun to use, and of course dont have the stigma that is attached to riding a mobility scooter. Whether an electric bike is right for you will depend on your general mobility; but if you still have your balance and the ability to pedal gently, you should be able to use an electric bike comfortably. Many electric bikes have low step-through frames, making it easy to get on board the bike. Once on board, the electric motor will help you pull away and allow you to cruise without pedalling. When you reach hills, you will still need to pedal, but unless you are tackling steep hills you should be able to do this without too much effort.